In the past, the Montana Department of Commerce conducted periodic Montana community rate surveys. The four most recent were conducted in 2014, 2003, 1999 and 1996. The Montana Department of Natural Resources and Conservation (DNRC) staff conducted the 2016 rate study and increased the scope to address additional public systems throughout the state. All told, 229 systems were identified and contacted. 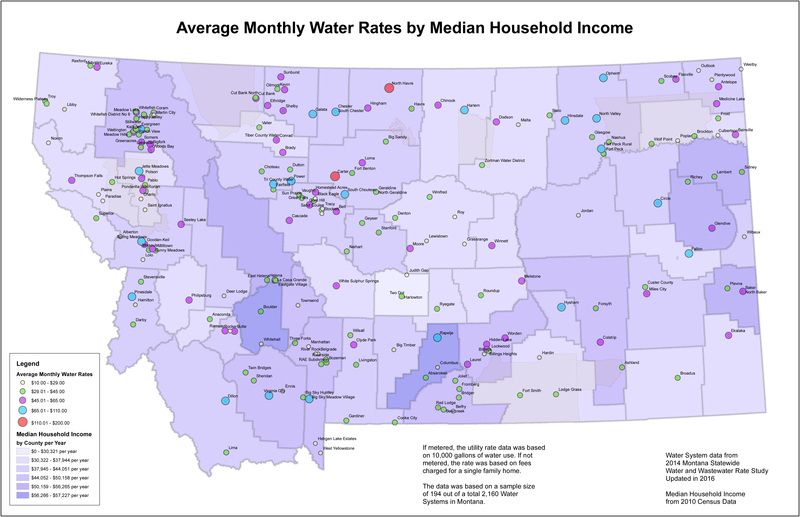 The study provided an up-to-date, comparative account of what rate payers across the state are paying monthly for water and wastewater services, and it includes a number of other complimentary and relevant data points. The results analyses are presented as monthly dollar amount cost and as an annual cost ratio of the Median Household Income (MHI) for that area for optimum stakeholder use. The overall average from all communities surveyed is considered the "target rate" and is typically used in the uniform grant application process when communities apply for infrastructure project funding. 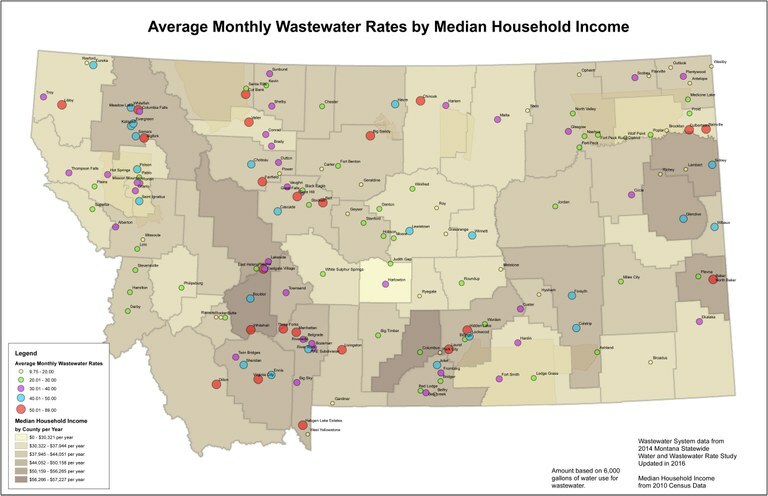 The current target rates for Montana are 1.4 percent for water only, 0.9 percent for wastewater only and 2.3 percent combined. This report explains the methodology used to collect the survey data and presents the results of the study.